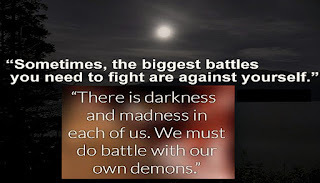 When is it necessary to FIGHT the darkness. Black Holes, pigs and stolen money. The central theme of Chanukah is light. Through the 36 lights we kindle on Chanukah, we connect with, and draw from, the primordial light that shone for 36 hours after Adam and Eve were created. Big bonfires and grand torches isn’t always necessary to address darkness. “A little light, chases away much darkness.” While a stronger light is better than a smaller and weaker one, the principle is the same. Add a little light, and the darkness is gone. 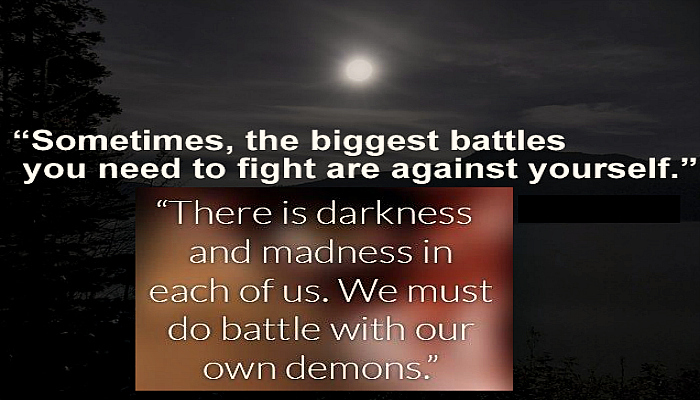 There are times however, when real obstacles and impediments stand between the light and the darkness. A thick impenetrable dark cloud separating “between the sun, the earth and its inhabitants”. A person in his mission to have the light shine, can be challenged with “distance” and/or actual “obstacles”. “Distance” are those things that are not forbidden according to the Torah and retain the potential for Holiness when used for a G-dly purpose. When a person takes kosher ingredients and makes a bread for his/her Shabbat Table, and before eating, washes his hands, and pronounces a blessing, over the food, he has brought the light of G-dliness and spirituality into what is otherwise darkness. Regular flour transformed into a vehicle for G-dliness. There are things G-d allows us, and reveals to us they may be used as a support and preparation to serve Him, like using a knife for circumcision, and there are animals while they are kosher to eat, they are unacceptable to be brought on the Altar. Then, there are the real actual “obstacles” to light, the things G-d tells us are forbidden. There is no way to make “Kosher” a pig. Stolen money, can NEVER become laundered into Kosher money, because its actual existence is a “black hole”. The books of Chassidus discuss whether darkness is merely the absence of light, or an actual existence of darkness. The conclusion, is that both are true at different levels. “G-d formed light, and created darkness.” In Egypt, the ninth plague darkness, started as a lack of light, and ended with “the substance of darkness”. People could not stand, and those standing could not sit. We are expected to always light up the darkness. It is therefore imperative to know what type of darkness one is dealing with. Does it fit into the definition of, real substantive darkness, things that are a real existence of evil and adding light alone is not enough. Or, is it the type of darkness which is defined merely as a lack of light, and by igniting positivity alone the negative will dissipate. These two levels where addressed during the times of Chanukah. The Maccabees first had to fight the Greeks who presented a formidable real darkness to the practice of our G-dly spiritual Torah. 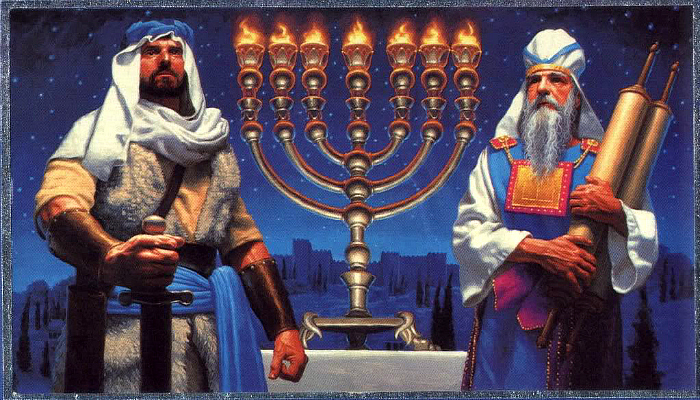 Only after they were defeated and eliminated from Israel, and the place of the Holy Temple, the Maccabees approached the source of light, the menorah, and attempted to light it, with the only substance that could and would bring light, PURE olive oil, untouched and unmoved by the Greeks. That is why the optimum time established by our Sages to light the menorah is, “as the sun is setting” and not, when it is already dark outside. To allude to this idea of using light to illuminate, only those areas that are affected, where the light has caused it to dim and only because of this reason it has brought darkness. 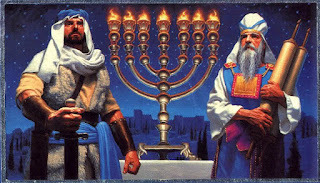 Like with the original Chanukah, King David instructs us in his book of Psalms, “turn away from darkness and do good…”. Merely working on bringing on the light isn’t always the answer in dealing with darkness. The first step, one must isolate and define what is clearly real darkness and eliminate it, in whatever way that is possible. Only afterwards, and step number two, is to shine the world in PURE light. Our internal world where it all starts, and internal challenges to the light of the soul, can be successfully overcome by the study of the Torah. “For a Mitzvah is a candle, and the Torah is light”, and ALL darkness is eliminated. When is a lie -- the Truth. Maccabees VS the Greeks. We call the world to come, the world of truth. Does that mean our world is a world of falsehood?? We call our Torah – the Torah (wisdom) of truth. Are all other wisdoms, wisdoms of falsehood? The signature of G-d, His identity is “Truth”. And, everything else, is false? Let’s say, you saw someone going into a store, and a minute later some murderer asks you, if you saw that person? Is the proper thing to say the truth, when you know what the outcome will be, or, is the right thing not to tell the murderer the whereabouts of that person? If you denied seeing the person to the murderer, did you lie?? When telling us to say, we didn’t see that person, our sages say, one is allowed to modify his words not to say where the person went. They do not say, it is allowed to lie in these circumstances, but that it is allowed to “change” ones' words. That’s because what the person did wasn’t a lie, and a fraud. What the person did by modifying his words was a solid truthful act to save the person from being killed and drawn in to an untruthful and dishonest situation. Falsehood, is something which has no permanency to it. What you see, or hear now, is temporary for the time being and therefore not true. After the truth and reality is revealed, or the situation changes, it may not be there in 10 seconds or twenty years. It appears solid, and gives the impression as being forever, but in actuality, it’s not true. Truth on the other hand are those things that are exactly as they purport to be, and will not be any different in the future. No tricks, no optical illusions no deceptions, now or forever. That is why the world to come, is a world of truth, because, it exists now and forever. This world only on the other hand, appears as solid when in truth all is transitory. That is why our Torah – wisdom, is “a Torah of truth and eternal life is implanted in it”, because, it is a wisdom that is, has been and will forever be sustainable. All other wisdoms to one degree or the other evolve and change, what is today and appears like the last word in science is apt to change tomorrow. Not so with the wisdom and instructions of our G-dly given Torah. That is why ONLY G-d can sign in “Truth”, because He is eternal. He was, is, and will forever be. Nothing else can claim that entitlement. This was the war of the Maccabees against the Greeks. Maccabee is an acronym for, “who is amongst the strong like G-d”? NOBody. The last letters of those four Hebrew words, spell the ineffable name of G-d. The Greeks prided themselves on sports (Sparta) and the Olympics. For them, it was only, all about the strength of the body and what meets the naked eye. A beautiful form, great abs and bulging muscles. The Maccabees who were so many more times smaller and weaker, overcame the mightier, better organized and trained Greeks. The Jewish people after so many years of persecution are today as strong as ever. That’s because as small as the truth may be, if it is true, it will always outlive anything that is temporary. The goal of the Greeks was to eliminate the spiritual G-dly values from the Jewish people. They didn’t mind the practices, as long as they were bereft of any spirituality and authentic Jewish Law. Not like other haters, they didn’t mind there were Jewish people. They just didn’t want this public display of G-dliness and spirituality. In Hebrew the word for falsehood (Sheker), each of the letters have a very flimsy one leg to stand on, and they fall. The word truth (Emet), each of its’ letters have two legs and a solid bottom of support. The world tempts us with all kinds of Greek Hellenistic self-absorbed pursuits. The only paths that are lasting, eternal and make it to the world to come, are the ones that are a product of and an extension of TRUTH. 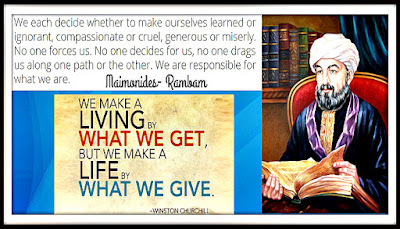 The magnanimity of giving. The 8 Levels & MORE. The only way to get, is to GIVE. Knowledge is Power -- G-dly Knowledge & ACTION is Super Power. Please Donate to Chabad House Lubavitch of Palm Beach Headquarters.The Kind Kitchen Chabad of Palm Beach Headquarters.Jewish Camp of the Arts. Traditionally, now is the time when many charities make their end of the year appeal, so donors can get their last chance (or first for the NEW Year) at tax deductions. Chabad House Lubavitch of Palm Beach is a federally recognized 501c3 Org. We have served our greater community for now almost 30 years!! We offer the entire gamut of social, humanitarian, and educational services, from newborns to school age children, Bar/Bas Mitzvah, adult Education, weddings, infirmed, counselling, etc. We offer the ONLY Jewish School/Camp of the Arts (summer & Winter), Mikvah, library with 65,000 Jewish books and “The Kind Kitchen” in the greater Palm Beaches. We have recently been chosen by the international Chai Lifeline to represent them here in Palm Beach County. We are daily delivering food and assistance to those in need. We are also in the process of purchasing a new property to expand further our Jewish School of the Arts, in operation for 29 years. We have so many GOLDEN opportunities to offer those who are interested in taking an active role in enhancing the value and virtue of their own life, in a most meaningful way, in our community. Please consider during these days of giving, a contribution towards a sick individual, a child who cannot afford education or recreational activities when school is out. Please put yourself towards strengthening the sustainability of our people. Times are very threating to our existence. Help support and fortify the identity and pride that should be natural to every Jew. You are welcome to call our office 561 624 7078 to arrange for a personal tour of our activities. or you may DONATE HERE. HaRambam 1138-1204, on the magnitude of giving Charity - Tzedakah. 1, We are obligated to be careful with regard to the mitzvah of charity to a greater extent than all [other] positive commandments, because charity is an identifying mark for a righteous person, a descendant of Abraham, our patriarch, as [Genesis 18:19] states: "…… The throne of Israel will not be established, nor will the true faith stand except through charity, as [Isaiah 54:14] states: "….. " And Israel will be redeemed solely through charity, as [ibid. 1:27] states: "Zion will be redeemed through judgment and those who return to her through charity." 2, A person will never become impoverished from giving charity. No harm nor damage will ever be caused because of charity, as [ibid. 32:17] states: "And the deed of charity is peace." Everyone who is merciful evokes mercy from others, ………..Whenever a person is cruel and does not show mercy, his lineage is suspect………… as [Jeremiah] 3:42] states: "They are cruel and will not show mercy." The entire Jewish people and all those who attach themselves to them are as brothers, as [Deuteronomy 14:1] states: "You are children unto God your Lord." And if a brother will not show mercy to a brother, who will show mercy to them? ……………..
3, Anyone who turns his eyes away from [giving] charity is described as being "rebellious" like someone who worships false divinities ………. And with regard to a person who turns his eyes away from [giving] charity, [ibid. 15:9] states: "Be careful, lest a rebellious thought arise in your heart." Such a person is also called "wicked," as [Proverbs 12:10] states: …………. 4, Whenever a person gives charity to a poor person with an unpleasant countenance and with his face buried in the earth, he loses and destroys his merit even if he gives him 1000 gold pieces. Instead, he should give him with a pleasant countenance and with happiness, commiserating with him about his troubles, as [Job 30:25] states: "………. 5, If a poor person asks one for a donation and he has nothing to give him, he should conciliate him with words. It is forbidden to scold a poor person or to raise one's voice against him while shouting, because his heart is broken and crushed, and [Psalms 51:19] states: "God will not scorn a broken and crushed heart." ……….Woe unto he who shames the poor, woe be he! ………………………. 7, There are eight levels in charity, each level surpassing the other. The highest level beyond which there is none is a person who supports a Jew who has fallen into poverty [by] giving him a present or a loan, entering into partnership with him, or finding him work so that his hand will be fortified so that he will not have to ask others [for alms]. ……………. you should support him before he falls and becomes needy. 9, A lower level than that is an instance when the giver knows to whom he is giving, but the poor person does not know from whom he received. An example of this were the great Sages who would go in secret and throw money into the doorways of the poor. ………………………. 11, A lower level than that is giving [the poor person] in his hand before he asks. 13, A lower level than this is giving him less than what is appropriate, but with a pleasant countenance. 14, A lower level than that is giving him with sadness. 19, Any person who does not need to take [charity] and deceives the people and takes will not reach old age and die until he requires assistance from people at large. …………. [Conversely,] anyone who needs to take [charity] and cannot exist unless he takes, ………. but is proud and does not take is considered as a murderer. He is liable for his soul and all that he has earned through his hardship is sin and guilt. But anyone who needs to take [charity], but causes himself affliction and temporarily constrains himself and lives a life of difficulty so that he will not overburden the community will not reach old age and die before he provides sustenance for others from his own means. Concerning such a person and those like him, it is stated [ibid. :7]: Blessed be a person who trusts in God." Donate to Chabad of Palm Beach Headquarters. 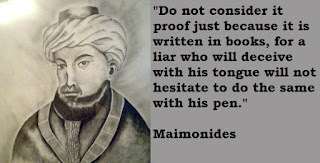 MAIMONIDES- *Drunk *real singing *above suspicion *value of a Mitzva *World to come guarantee. etc. At the conclusion of Tractate Niddah the text reads, "Whoever studies halachot daily”. Rabbi Shneur Zaman of Liadi (1745 – 1813) defines halachot as "clearly adjudicated laws of practical application." This refers to clear and definitive rulings that are of practical relevance. Rabbi Moshe Ben Maimon, 1138-1204, known as Rambam and/or Maimonides is one of the world’s greatest philosophers and codifier of Jewish law. Rabbi Moshe was also a physician to the court of the Saladin, and was requested to attend the needs of Richard the crusader. The following, are the actual words of this great man, healer of the soul, from his magnum opus Mishneh Torah / The strong Hand. Guidance to live a purposeful virtuous life. These words are eternally valid since they are drawn from the eternal infinite wisdom of the Torah. Drunkenness or Joy in serving G-d. When a person eats, drinks, and celebrates on a festival, he should not let himself become overly drawn to drinking wine, mirth, and levity, saying, "whoever indulges in these activities more is increasing [his observance of] the mitzvah (commandment) of rejoicing." For drunkenness, profuse mirth, and levity are not rejoicing; they are frivolity and foolishness. Song including the name of G-d is – “Service (serving - worshiping) to G-d”. Their service was to guard the Temple. Among [the Levities], there were gate-keepers who would open the gates of the Temple and close its doors. And there were singers who would accompany the sacrifices with song each day. [The latter concept is derived from the exegesis of Deuteronomy 18:7]: "And he shall serve in the name of G-d, his Lord, as all of his Levite brethren." Which service involves [invoking] the name of G-d? I would say: song. When were songs recited? At the time all the communal burnt offerings, the peace offerings brought on Shavuous, and the wine libations were brought. Song was not recited over the freewill burnt offerings that the community would bring for "the dessert of the altar," nor on the wine libations that are brought independently. Even the High Priest – must always act above suspicion. When the person entered (the room to donate) to set aside the funds, he should not enter wearing a garment in which he could hide money, nor wearing shoes or sandals, nor wearing tefillin or an amulet, lest the people suspect that he hid funds from the chamber underneath them when he set aside the funds. And they would talk to him [continuously] from the time he entered until the time he departed, so that he could not place [a coin] in his mouth. Even though all these safeguards were taken, a poor person or someone who craved money should not [be appointed to] set aside these funds. [In this way,] the matter will not arouse suspicion, thus [fulfilling the advice of Numbers 32:22]: "You shall be blameless before G-d and before Israel." The value of commandments is ONLY because of who is the commander. When a person covers the blood (of a wild animal or fowl slaughtered), he should not cover it with his feet, but instead with his hands, a knife, or a utensil, so that he will not treat it with disdain and regard the mitzvoth with scorn. For the (act of the) mitzvoth (commandments) in and of themselves are not worthy of honor. Instead, [the honor is] due He, blessed be He, who commanded us to observe them and [thus] saved us from groping in darkness and thus granted us a lamp to straighten crooked paths and a light to illumine the upright ways. And so [Psalms 119:105] states: "Your words are a lamp to my feet and a light for my ways." Jacobs Dream. The power to bring the miraculous into our down to earth daily lives. Jacob left Beer Sheba and set out for Charan. When he arrived, he realized that he had unwittingly passed Mount Moriah (the future home of the Holy Temple in Jerusalem), where his father and grandfather had prayed, without praying there himself. In order to rectify this apparent affront to his forebears' conduct, he turned around and retraced his steps in the direction of Mount Moriah. 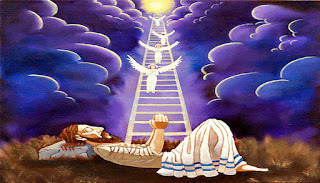 G-d made the sun set early and Jacob prayed to G-d and spent the night there. To protect himself from wild animals, Jacob took some of the stones of that place and placed them around his body and head. G-d miraculously transformed them into one stone. 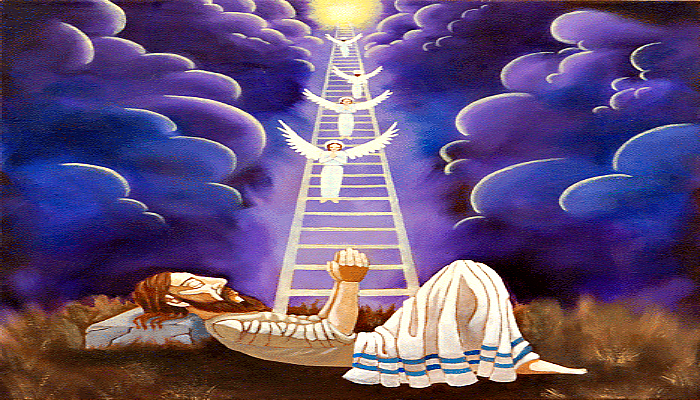 Jacob had a dream: He beheld a ladder standing firmly on the ground and sloping diagonally upward, its top reaching up toward heaven: its base rested in Beer Sheba and its top was above Beth El. Upon it, behold, the angels of G-d who had accompanied him on his trip thus far, were ascending back toward heaven, for they were not permitted to leave the Land of Israel, and other angels, who were designated to accompany him while he was outside the Land of Israel, were descending. G-d of Abraham your forebear, and G-d of Isaac. I will give the land upon which you are lying to you and your descendants. Your descendants will be as numerous as the dust of the earth, and you shall spread out powerfully to the west, to the east, to the north, and to the south, and all the families on earth will be blessed through you and through your descendants. Jacob awoke from his sleep and said, "G-d (Y H V H) is truly present in this place, yet I was not aware of it.” He became afraid, and said. "How awesome is this place! This is none other than Mount Moriah, the future site of the House of G-d (ELOKIM),and thus, this is the gateway through which prayer ascends to heaven”, passing through the heavenly Temple, which is figuratively situated 'above' the site of the physical Temple. Why Did Jacob describe the place as one where G-d (YUD Hai VOV Hai) was present, AND then call the place, the future home of G-d (ELOKIM), using two different names for G-d? The name for G-d, Elokim, is the name used when G-d created the world. “In the beginning, Elokim created….. “The measured, finite characteristics of nature, is the product of Elokim which conceals G-dliness. The predicted patterns of nature fool a person into thinking, life is guaranteed once it’s all figured out. Today, because of science more and more people foolishly feel a lack in the need for faith in G-d, since science and the study of nature have all the answers. Miracles, expressed by the name (Y H V H) shatter the myth that Doctors or financial gurus have all the answers. The out of the norm occurrences that no one expected, openly display the constant control and influence G-d retains over nature and all that is in the world. G-d in truth, is not limited to either the patterns of science and nature, or when He desires to change course, He doesn’t necessarily have to split the red sea, or create a totally unnatural phenomenon. A higher and more powerful G-dly act, is when G-d does an unexpected act, a miraculous occurrence, within the boundaries of nature. All of a sudden, circumstances change as they do often and the situation miraculously and unexpectedly changes for the good. This last mode of behavior, was the normal, regular, miraculous, daily routine that took place in the Holy Temple in Jerusalem, that Jacob was experiencing that night in his dream. While everything in the Temple was measured, and made of a specific material, they behaved in totally unnatural ways. Ribbons would turn colors on their own on Yom Kippur, smoke would always go up to heaven like a pillar notwithstanding the winds. Hundreds of thousands of people would comfortably fit in the lobby of the Temple and so on. On that miraculous night when the sun set early (unexpectedly), Jacob who was sleeping on this holy & G-dly place, saw and experienced the great miraculous powers of G-d (Yud Hai VOV Hai) and knew so, as it manifested itself within his dream and the nature of the land he was on. The two forces of G-d became ONE. Everyone can access the spiritual powers and super natural blessings of G-d in the study of Torah, and on the very other extreme, we all have an obligation to acknowledge the physical world of nature around us. Share Jacobs Dream. The power to bring the miraculous into our down to earth daily lives.